The property of Adels Grove occupies an area of some 30 hectares (80 acres) and extends from Lawn Hill Creek at one end to Louie Creek at the other. It was originally gazetted in 1904 as a Miners Homestead Lease. In 1920 Albert de Lestang took up the property as an experimental Botanical Garden (hence the name “Adel” arose from Albert’s initials). Albert planted many species of trees and shrubs and supplied the Botanical Gardens of the world with the seeds produced by his nursery. The Botanical Gardens in Brisbane still has 536 different samples of seeds sent to them by Albert, held in their collection. It is said by those locals who knew Albert that it was indeed a most beautiful botanic garden. Albert had a building complex that incorporated living quarters, a shop, a storeroom and an office. A corrugated iron workshop was a part of that complex and he also made much use of a post and rail lean-to with paperbark roofing. Post and rail fences (all painted white) as well as hitching rails and stone lined pathways complemented the layout. In the early 1950s a fire swept through the grove while Albert was absent (some say deliberately lit), destroying everything including his dwelling and trunk containing all of his research papers. By this time Albert de Lestang was in his early seventies and having lost his building complex, all of his written records of plants and their hybrids, his stores and a large percentage of the planted Grove he succumbed shortly thereafter to great depression and broken spirit. Albert’s last years were spent in a Charters Towers nursing home, where he died in 1959 at the age of 75, most probably broken-hearted. A very sad end to what must have been a magnificent project spanning many years and a hell of a lot of effort in an isolated and difficult environment. The camping ground now known as Adels Grove was opened in 1984 and purchased by the current owners. General mechanical repairs, auto electrical, air conditioning and road worthy inspections. Mine site Compliant vehicle fit outs. We sell and fit all types of Tyres to all types of vehicles. If we don't have it we can get it for you. Clancy Corporation is focused on the future and has a strong drive to promote sustainability across all aspects of our business both internally and through our customers. We see Workplace Health and Safety, Quality and Sustainability as the keys to our business success. We are committed to supporting our community and strive to be good corporate citizens. Our aim is to offer value for all clients. Commerce North West has a proud history of serving the region as an active leader and strong voice for the commercial, industrial, civic and general interests of North West Queensland. Commerce North West is also a proactive force involved in employment issues, regional and economic development, government relations, tourism and events management. We drive and promote a number of local spend initiatives including the Buy Local Campaign and the Buy Local Gift Card to help encourage local spending. In addition to this, Commerce North West has also taken on various roles to provide services to the business community. This includes providing demographic and economic information to members, developing the Quick Smart Easifind (local phone directory), facilitating the Business of the Year Awards, organising networking events and coordinating the Mount Isa Mining Expo (Minex). Delta Office Solutions has been servicing the North West of QLD for the last 20 years. Specialising in the sale and after sales service of your printing and photocopying needs, we also have an ever-growing range of Stationery products. Competitively priced and always eager to serve, find us today at 60 Marian Street Mount Isa! Or call on 07 4749 1988. Department of State Development, Manufacturing, Infrastructure and Planning (DSDMIP)'s Regional Economic Development Group (RED) helps strengthen and support economic development of Queensland's regions. Partnering with regional stakeholders, we deliver and grow vibrant and dynamic regional economies through services and support promoting investment, exports and job creation. We directly contribute to Queensland's growth industries by delivering services including to the advanced manufacturing, aerospace, biofutures, biomedical and life sciences, defence, resources and mining sectors. Providing vital links between proponents, councils and other stakeholders - including delivery of programs on behalf of or in collaboration with other Queensland Government agencies. We connect with industry across Queensland, championing their needs and delivering tailored support services to strengthen their participation in Queensland's economic growth. The range of workshops and programs we deliver are focused on economic growth and regional development. In addition, RED also delivers a number of programs on behalf of other government departments. Headlines are a results orientated business with a strong focus on professional ethics and a single unwavering focus of achievement. This translates into an honest and ethical approach that uses professionalism and passion to exceed client expectations. Headlines Managing Officer Katie Schrodter has demonstrated experience and well established networks in North West Queensland. Katie has a background in Marketing, Small Business Management and Development, Community Engagement and Event Management. With a degree in Business, majoring in Small Business and an Advanced Diploma in Event Management Katie’s qualifications teamed with a meticulous and tireless work ethic ensures every project is delivered with the utmost attention to detail and professionalism. Research and assist with funding applications, related business cases, feasibility studies and project plans. Establish relationships and maximise corporate outcomes in line with the assigned task. Effectively coordinate seamless events from creation, planning, facilitation, media, sponsorship and marketing to post event reports. Create effective communication and business marketing tools through designing creative, readable and engaging communications. Promoting and implementing strategic activities to achieve desired results for specific industry, project or community initiative. Connect relevant groups, stakeholders, Government departments and corporate entities to reduce duplication, increase patronage, increase financial resources and identify/ demonstrate the appropriate level of support for the assigned task. Undertake secretarial based projects on or off site to alleviate the pressures placed on both small and large organisations including all tasks from invoicing, data entry through to reporting, even travel coordination. Hire vehicles available include broad range of current model 4WD (four wheel drive Inc. mine equipped) vehicles and current model automatic sedans; child car seats on request. Locally owned and operated small business, so come in and talk to us as we value our customers and local community. oh... and we also design and administrate websites. We are the largest entertainment venue in Mount Isa, with Gaming, Bars, Pool Tables, Accommodation, Retail, Night Club, 24 Hour Gym, Bottle Shop and of course Restaurant Dining as part of what we offer our 17,000+ members and their guests. We have had 62 great years in Mount Isa, and have contributed millions of dollars to local charities, sporting groups and the like. 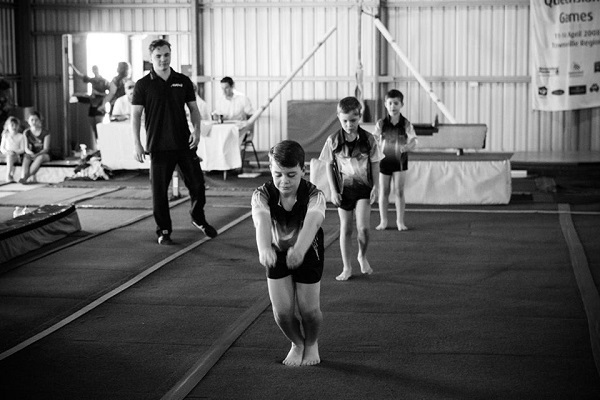 North West Gymnastics Mount Isa offers a range of programs and classes to suit all ages and abilities. Check out Our Classes here and our class Timetable and Calendar here. We also host kids Birthday Parties. Over time we know your children will benefit through general health, socially and through commitment, discipline, motor skills, balance, coordination and strength. North West Gymnastics and our coaches are accredited with Gymnastics Australia and Acrobatic Arts. Our coaches are experienced in a wide range of Gymsports including Women’s Artistic, Men’s Artistic, Acrobatics, Rhythmic, Tramp and Tumbling to an Advanced+ level. Our under 5’s programs are Fun and Educational with programs including Jungle Gym, Early Movers and Early Learners. Mount Isa Teachers have praised us for the positive influences our classes are having on the Kids in School. 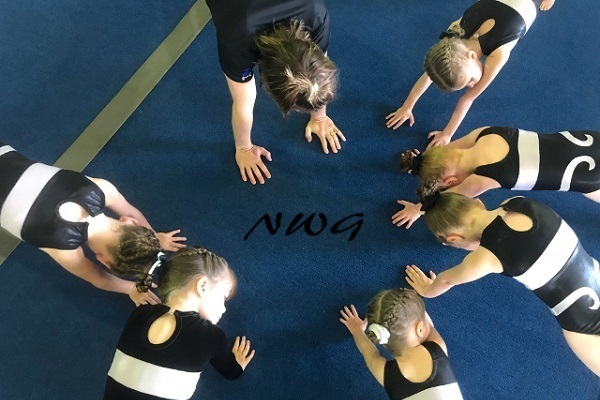 Our Recreational programs including and Activebods, Acro Foundations and Gym Skills, Intermediate Acro and Tumbling, Aerials and Tumbling and Advanced Acro and Tumbling, are designed for those kids that just want to have some fun, learn and improve their skills in a safe environment. We pride ourselves on offering the highest quality Competitive program for Women and Men in the region with our Gymnasts performing strongly in Regional and Coastal Competitions. Interested in Gymnastics? Please Contact Us for more information. Place that has it all! Two Hotels, two bars, two restaurants, two gaming rooms. Natural beauty and Medi clinic's purpose is to empower our local community by educating the wider demographic on the vital signs of ageing, skin health and well being and beauty therapy. wiZZamakidZ is a 100% independent, locally owned and operated independent toy store. The 200sqm store is situated at 25B Miles Street, in the outback town of Mount Isa - Queensland. Perfectly situated in this bustling section of the CBD, it is home to an exciting array of cafes and various other retail stores. Owner/Manager, Cathy Bimrose, strives to ensure that wiZZamakidZ offers best possible range of high quality products from award winning brands across the globe! The wide variety caters to the needs of babies, toddlers, school-aged children, teenagers…right up to the young-at-heart adults! From classic wooden toys to outdoor play equipment, a puzzle and board game range that’s sure to impress, right through to remote control and scientific products…there is something fun for everyone! Emo Trans has 50 years of experience with transportation and freight services. Our extensive global and domestic network of more than 250 locations in 120 countries maintains a constantly updated air, road rail and sea schedule, and allows us handle virtually every facet of worldwide shipping. We work with direct providers as a third party management service. We offer a door to door service, and are able to minimize physical handling of your cargo and offer greater cost effectiveness and increased reliability. We also offer a “real time” web based tracking and trace system. Our Australian head office is located in Sydney, and we have branches or agencies in Melbourne, Brisbane, Perth, Adelaide, Darwin, Cairns and Mount Isa. Forwarding, brokerage and specialist services are also offered throughout the Oceania region. Specialist areas include mining, aviation, project management, dangerous goods management, warehousing, customs brokerage and supply chain management. •Depending on country of operation, EMO divisions also provide Customs brokerage and Financial Services, including Letter of Credit processing. Krause Health & Safety is a nationally recognised provider (RTO 6401) of training services to the mining, construction, civil and private industries. Krause Health & Safety are a locally owned family business that was established in 1996 and we have been proactive towards training and safety services throughout the Mount Isa and North West Queensland region over the past 20 years. We specialise in emergency response training such as fire and first aid as well as high risk training in working at heights and confined spaces. Krause delivers training for people that are undertaking a supervisory role in the mining industry and general risk management. .
Krause take pride in the fact that we deliver quality training and have the ability to tailor training to meet our clients needs and the ability to travel to remote locations such as mine sites and stations. We believe in a straight forward approach with honest and open channels of communication. MacRae News is a family owned and run business that takes great pride in supporting the local community. Peta MacRae, part owner, is a Mount Isa City councilor, a member of Zonta and on the board of Commerce North West. MacRae News is a one-stop location for all of your stationery, gift and newsagency supplies. We even stock take away coffee. Located in the Turanga Shopping Strip, we have ample untimed parking, so if you are wanting to call through quickly or stay and browse at our wide array of giftware, handbags and shoes, you will have no problem with parking in a convenient location. MC Scaffolds are Mount Isa’s Scaffold Specialists. Local owners, Jason & Narelle Crockett have reached the milestone of 25 years’ experience in the scaffolding industry, providing all facets of scaffolding requirements for both Mining and Construction Industries throughout Queensland. Recently they added Temporary Fencing to their stock, under the name of Isa Temporary Fencing. Ongoing training is a huge part of MC Scaffolds Company Structure. In our experience, anyone can hold a scaffold ticket, but to be trained by someone with such knowledge is an invaluable asset to the team. MC Scaffolds is also a member of the Scaffolding Association of Queensland, enabling them to keep up to date with what is happening in the Scaffolding Profession and any upcoming industry changes. This is vitally important in such a high risk industry. They pride themselves on their safety record and provide all employees with a company induction outlining the expectations required. They have a large amount of stock including mobiles, aluminium, kwikstage, tube & fitting, swing stages. They are also the North West Qld Agent for Safety Nets Australia. Safety Nets can be utilised as stand-alone, or in conjunction with scaffolding. Applications are varied but the most common uses are for edge protection, working platforms and catch nets. This system is a revolution for working at heights. Proud to employ only local residents, the team of qualified and competent scaffolders take pride in their work, and keeping everyone safe on the job. Teams are led by experienced scaffolders who are also trained and competent supervisors. They also hold various tickets, relating to working at heights e.g. ewp, overhead crane etc. MC Scaffolds acknowledges they wouldn’t be here if it wasn’t for the support of the local community and they continue to give back, by sponsoring many local sporting teams and events every year. Covering a total land area of 271,732 square kilometres, the region is home to over 216,700 persons and is a vital transport corridor connecting the rest of Queensland, Australia and the world via road, rail, air and sea. Mount Isa Entertainment and Tourism Venues (MIETV) is the managing company of Outback at Isa, Mount Isa Civic Centre and Buchanan Park Complex. The Mount Isa Visitor Information Centre is located inside Outback at Isa at 19 Marian Street. It is the place to find out what the Outback North West Region has to offer, to correspond with relatives and friends via our internet cafe, help plan or book the next part of your journey, take a rest in the air-conditioned comfort or enjoy a meal or coffee at the Cribb Room Cafe. Our specialist staff provide expert assistance in planning your outback experience by ensuring you get the most out of your visit to Mount Isa. Outback at Isa also hosts the Award Winning Hard Times Mine, the fantastic Isa Experience and Outback Park as well as the Riversleigh Fossil Centre. Outback at Isa...it's a real Mount Isa experience! The Mount Isa Civic Centre offers a diverse range of spaces available to suit each individuals particular needs. With our venue spaces allowing for diversity in production ranging from conferences to dramatic performance, comedy or music. Should you wish to make an enquiry into venue hire please email events@mietv.com.au For ticket bookings please come see us at 23 West Street between 9am and 4pm or call us on 07 4747 3300. Completed in 2008, the Buchanan Park Events Complex (BPEC) is the award winning venue of choice for all events - home to the largest (and richest) rodeo in the Southern Hemisphere as well as the largest mining exposition on the eastern sea-board - BPEC has also played host to touring headline acts (such as Jimmy Barnes, James Blundell, and Kate Cebrano), motorsport shows (Extreme Monster Trucks, and Crusty Demons of Dirt), right down to local business meetings and conferences. Mount Isa Rotary Rodeo Inc.
Red Energy Promotions are the leaders in promotional products and merchandise for business, sporting, government and charities throughout Australia, New Zealand and Papua New Guinea. Our product range is enormous and includes stationery, personalised pens, stubby coolers, uniforms & clothing, headwear and corporate gifts to name but a few. For that one off order through to full merchandise management the team at Red Energy Promotions are behind you all the way. TAFE Queensland North Region gives people practical skills to do extraordinary things. Enrol today if you’re looking to upskill, gain a formal qualification or start an exciting new career. TAFE Queensland North Region has 18 campuses from the Whitsundays to Thursday Island and out to Mount Isa. Our programs range from certificate-level through to bachelor degrees and students can study full-time, part-time, online or in blocks. For greater flexibility, TAFE Queensland North Region can also deliver on-site training at workplaces and design bespoke programs to suit individual or company training requirements. TAFE teachers are industry professionals who are passionate about delivering excellence in training across the state and giving students the skills to achieve great things. Our dedicated support staff can assist with: counselling, disability services, learning support and career advice. We also have a faculty dedicated to Aboriginal and Torres Strait Islander studies, as well as a specialist team of Indigenous Student Support Officers. The Boss Shop is your one stop shop for all your industrial needs. We pride ourselves on knowing what we sell and we are able to provide advice and assistance on a wide range of products. * Leadership training in Performance Management, Safety Culture and Performance Reviews. * Liaison with service providers for venue, catering, entertainment, advertising. * Overseeing entire event, including review of process for future years.